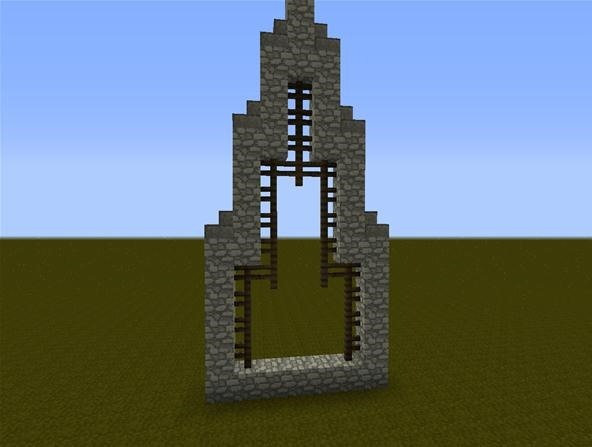 This week, I will be covering one of my favorite styles of roofing in Minecraft—the arched roof. This is basically just a roof that starts out steep and slowly slopes down until it meets in the center. I think this type of roof looks great in Elvish-styled buildings and can make any build look very elegant and tall. For this example, I will be using one that is 7 blocks wide, as I have marked with the signs. 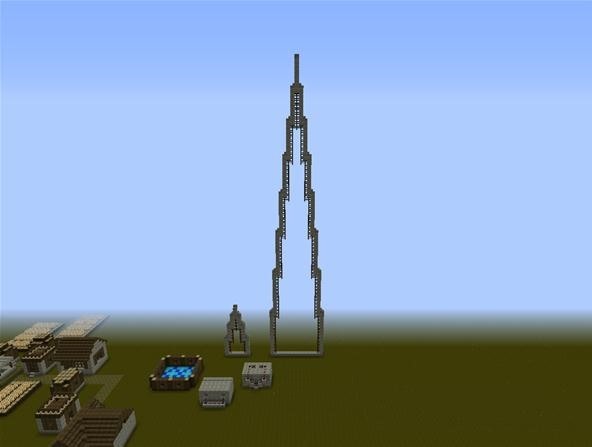 Your first vertical piece should be 1 block less that the roof is wide. In this example, the first vertical piece is 6 blocks high (7-1=6). 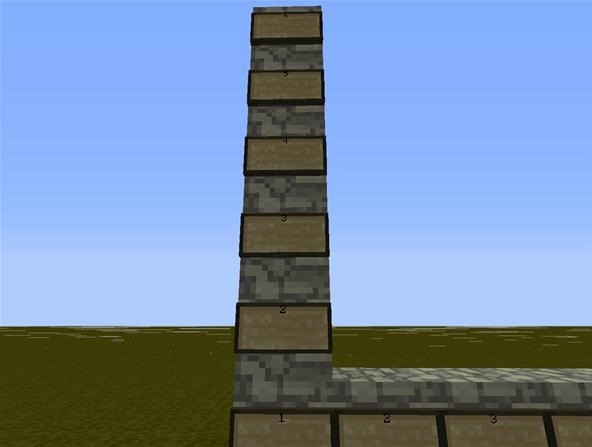 Each time you got in one block, decrease the amount you go up by one. (1) The next piece should be 1 block shorter that the previous one. 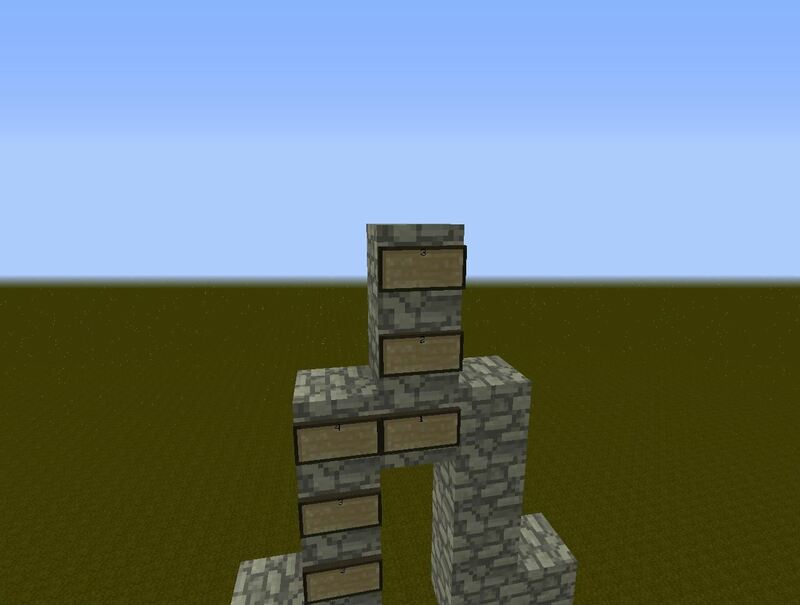 (2) Once you get to the top, just make the 2 pieces meet like so. 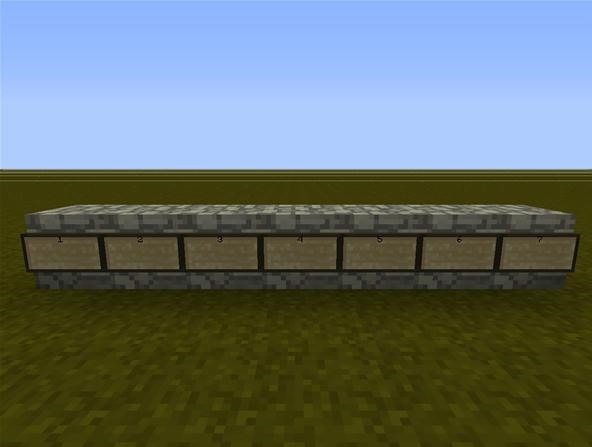 I like to put a stair block facing in on each of the horizontal surfaces. It helps to make the arch flow more and look more cohesive. I also put fences surrounding the inside to give it a more elegant and elvish feel. 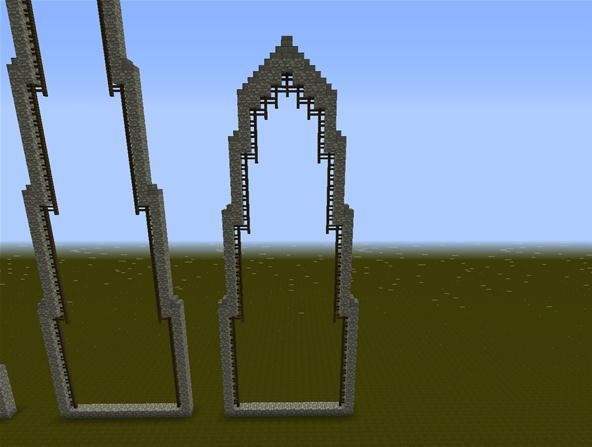 You can make extremely large ones like the arch below, which has a base of 15 block across. However, It may be more practical to use a larger reduction factor each time you go up. 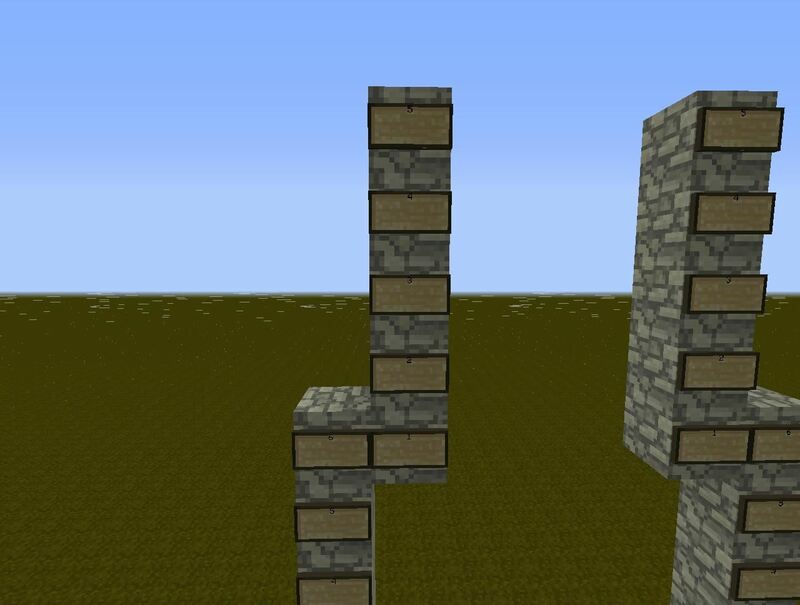 In this picture, I increased the amount each vertical piece decreases by to 3. This makes it look a little bit less steep and more proportional. i'd like to know too... it looks great!